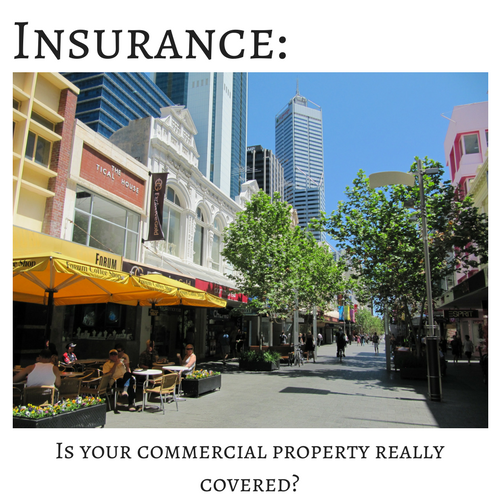 Insurance: Are You and Your Commercial Property Properly Covered? - Darmax Inc.
Well, it’s that time of year here at Darmax Inc. … Insurance Renewals! We all go through it and while it seems as thrilling as a trip to the dentist, it is just as necessary. One thing that makes the renewal (or first purchase) process easier is to partner with an Insurance Broker who is trustworthy and easy to work with. As we were going through our process with the amazing team at Ostic Insurance here in Guelph, ON, I thought it might be fun to ask our Broker, Jim Hitchcock some questions for our Commercial Building Owner clients. Aside from the obvious trip & fall risks, what are some of the bigger claim items you see regularly for commercial properties? Yes, trips, or slips and falls are the largest looming events that trigger liability claims. Lately the industry has seen an unprecedented number of claims from catastrophes such as fires and floods. These claims affect all of us because the re-insurers (the ones who respond to the carriers) we work with are the same ones responding to the catastrophe claims around the world. The high volume of claims we’ve seen, even if the disaster doesn’t take place in our country, will have an affect in the Canadian marketplace. You’ll want to prepare for stiff increases in premiums for property owners in many sectors. Are there any types of coverage that are often overlooked? Unfortunately there are overlooked coverages all the time. Many commercial property owners make changes to their building or property that may seem small but they could lead to missing or improper coverage. For commercial property owners, equipment breakdown is one type of coverage that is often overlooked. Simply, any integral mechanical component that fails and has resulting damage to the building would fall in this category. For example, an electrical panel arcs and causes a fire, or a roof top air conditioner on a high rise fails in the middle of summer. These could all fall under equipment breakdown coverage. We advise that you stay in touch with your Licensed Insurance Broker as things change in and around your building. It may not be a big deal but isn’t it best to know BEFORE you need the coverage? From a broker stand point it is important to touch base at least once a year to make sure you’re still properly covered. How much does the size of the building matter when looking at types of coverage? When you are looking at the size of the building, typically larger means more money. The types of coverage required may not be all that different from a little shop to a high rise, but the appropriate limits are crucial. It is easier to recoup if your building and limits are smaller, but if your values are off by millions and have overlooked coverage then the loss could be catastrophic to your business. It all comes back to ensuring prudent, thorough, and regular evaluations are communicated between the property owner/manager and your Insurance Broker. Do coverage requirements differ between using the property for my own business and leasing it out or blending the two uses? When you are using the property for your own use, your policy will be more inclusive – property & liability for example. If you are the one leasing space in the property (lessee) then you have no real interest in the property (unless you have leasehold improvements). In this case your coverage will lean more to contents and liability. If you have commercial property that you lease (lessor), you want to make sure that your tenant has the proper coverage and that you are listed as an “additional insured.” In this case you will still require your own – and different – coverage in place as well. In this case, I would recommend blending coverage to make sure that your risks are cared for. Even if a tenant is legally liable for an occurrence, you can still be brought into a civil action. This is so important now that society is becoming more litigious than ever. If there was one thing you could urge every commercial property owner to consider, what would it be? Commercial Umbrella Liability Insurance. I did set that up a bit from the very last sentence in the last question haha. As a business/property owner you work hard to make a living and provide for many. The umbrella is designed to help eliminate gaps, while providing an additional $2 Million in indemnity. This amount can go as high as you may require to help provide proper protection. For the cost, and depending on the industry, it is nominal at best. However, like personal umbrella insurance it is often seen as unnecessary. And now the big question … How much coverage is enough?! I wish I had only one answer for this. Each property and business is as individual as … well … the individuals in it! I can’t stress enough how important it is to find an Licensed Insurance Broker who takes the time to know you and your business and is genuinely interested in getting to know your risks. 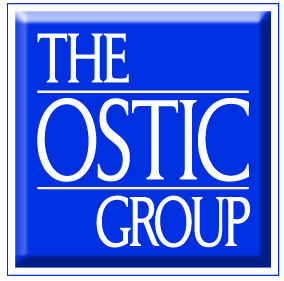 Thanks to Jim Hitchcock of Ostic Insurance for taking your time to answer my questions! P.S. If you’ve read an insurance term here that you’re not familiar with you can find the definitions (and more resources) here. P.P.S. This article is to be seen as an overview only. Not all information provided here may apply to your location and/or circumstances. Please contact your local insurance broker for more specific information and requirements.